WordPress has grown in leaps and bounds from a simple blogging tool to the top CMS in the world. Presently, close to 24% of all websites use it. Some of the big brands that use it in their websites include Forbes, NASA, CNN, GM, eBay and Best Buy. When you use WordPress, you start to appreciate why it is so revered. 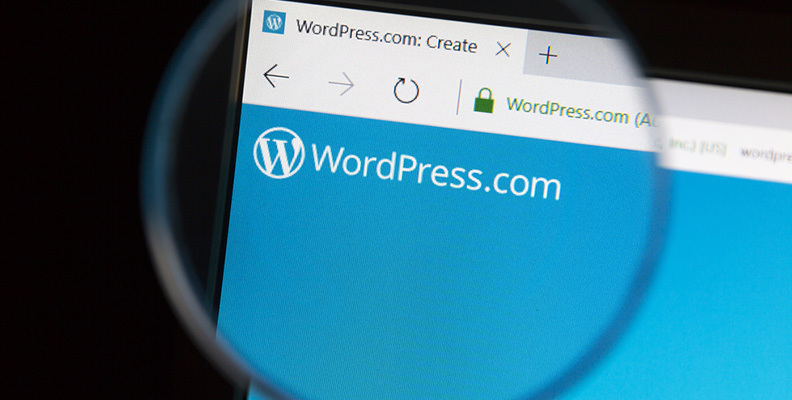 From ease of use to an abundance of customisation options, WordPress continues to outshine its competition. It’s also free. Other CMSs, such as Drupal and Joomla, are good, but WordPress is so much better – especially when it comes to SEO. Here are some reasons why you should consider it if you wish to have a successful SEO campaign. Creating a website is far from easy if you lack any experience. Not too long ago, finding a CMS that could perform as well as WordPress would have been expensive, not to mention very complicated to use. WordPress is free and you don’t need to be very tech savvy to set up and run it. Basically, you set up a database, extract the WP-Config file, upload the files and you are done. This already easy process has been further simplified by hosting providers who offer a one-click install. In other words, you just find a hosting service, sign up, login and click one button to set up and start running. Another desirable characteristic of WordPress is that it is open source. This is perhaps the reason why WordPress has evolved into what it is. A developer can create a theme or plugin and then give it to the community for use. This means that there is a huge array of themes that align with today’s SEO standards to choose from. Some can be used at a price while others are completely free. If you are looking for some particular SEO functions for your site to perform, you can locate them easily. The open source nature of WordPress means you can expand the capabilities of your WordPress site as you like. So you can update your website to be aligned with Google’s outlined best services, which, for any other proprietary CMS, would take too long to catch up. WordPress enables easy on-page SEO management. Despite the complexity of SEO as a practice, WordPress makes it easy to manage without any programming background. This section is under the settings tab. It shows URLs based on characters and numbers. You need to customise and optimise your URLs which you can do, under the post name option. When you want to add content, go to ‘add page/post’ and add from there. Add the title (coded as H1 or H2 depending on theme in use) which will also be the page’s title tag. You can access the URL structure, and edit, without any sort of coding. The Visual Rich Text editors make all editing options available, from bolding and underlining to hyperlinking and adding images. It allows you to add content, which can be crawled through by search engine spiders. Google has established that site speed matters when it comes to on-page optimisation. With WordPress, you need not worry as themes load quickly and correctly. While the choice of theme and content can affect site speed, plugins such as Autoptimize make sure the loading times remain short. Mobile Optimisation matters when it comes to achieving high rankings on mobile searches. WordPress users only have to install the Jetpack plugin to make their websites compliant with Google’s standards. Those who choose paid-for themes can enjoy built-in optimisation. There are innumerable themes to enable you to customise your site as you please, purpose or nature of the site notwithstanding. And the plugins too are as abundant, especially those that allow you to meet your SEO requirements. WordPress has cemented its place in web development because it has grown to be more than just blogging software. It will, at least for the foreseeable future, remain the CMS of choice for SEO.